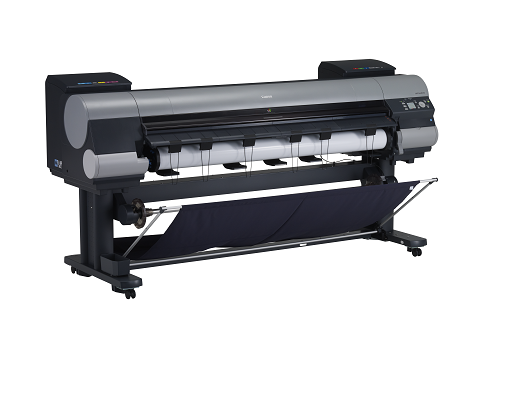 An extremely versatile solution, the 60" imagePROGRAF iPF9400S printer is ideal for those who need quality large format output and maximum productivity. Built for the photography, proofing and production markets, the iPF9400S printer delivers high quality imaging while increasing overall productivity. An incredibly large color spectrum is produced by the 8-Color LUCIA EX pigment ink set, which also provides better scratch resistance and smoother gradations. The new Multi-sensor included with this printer provides improved color density detection and allows for a full calibration to be completed within 15 minutes, with the ability to use non-Canon branded media. Borderless printing of up to 60” is now possible with this printer and the new economy print mode allows for quality printing with limited ink usage. In highest print mode, the order of ink application and layering is optimized to maintain the highest print quality with fewer passes, making this mode twice as fast compared to previous models. Ideal for production grade printing environments, the iPF9400S is up to 40% faster than the 12-Color line of imagePROGRAF Graphic Arts printers. Achieve maximum productivity with large 330ml or 700ml ink tanks and a unique sub-ink tank system for replacing ink on-the-fly without stopping the printer. The iPF9400S is also equipped with a large 250GB hard drive, geared to increase productivity in high volume printing and streamlined workflows, while allowing for faster processing of large files as well as the ability to reprint jobs directly from the printer. Media Width Cut Sheet: 8" - 60"
Borderless Printing Width 515mm (JIS B2), 1,030mm (JIS B0), 594mm (ISO A1), 841mm (ISO A0), 10", 14", 17", 24", 36", 42", 44", 50", 60"